In a ruling filed on Tuesday Jan. 9, a California judge in the U.S District Court for the Northern District of California granted an injunction in an ongoing lawsuit, to which the UC Regents and UC President Janet Napolitano are the plaintiffs, to temporarily halt the rescission of the Deferred Action for Childhood Arrivals program, or DACA. By order of Judge William Alsup, the administration must continue accepting renewal applications to the program while lawsuits questioning the moves’ legality are ongoing. Tuesday’s ruling will allow roughly 800,000 DACA recipients to remain within the United States. There is an estimated 4,000 UC students who are protected by the program. University of California President Janet Napolitano filed a lawsuit in September 2017 against the Department of Homeland Security and Secretary Elaine Duke, claiming that the Trump administration acted illegally by canceling the program without notice. Napolitano served as the Secretary of Homeland Security prior to her time as president of the university and helped create DACA. A spokesman for the Department of Justice has stated that they intend to further litigate their opposition to DACA. Analysts anticipate the administration to appeal the ruling to a higher court. It is also likely that the University of California will remain active in combating the program’s removal. 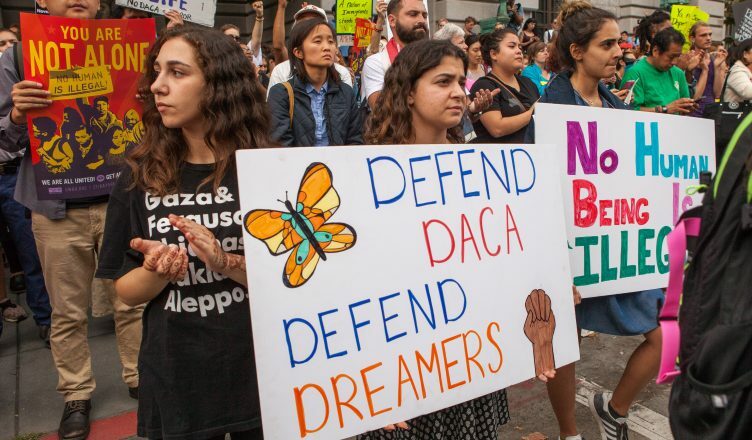 “UC will continue to support DACA recipients by challenging the legality of the Trump administration’s rescission of DACA, supporting congressional legislation that would allow for permanent protection, and providing services and aid to its undocumented students,” Napolitano stated. Yesterday, Trump met with bipartisan leaders in a meeting that focused on ways of implementing effective immigration reform, including solutions for DREAMers. found a system for clean meeting planning. https://math-problem-solver.com/ . rapid intervention where college students most need assistance.